Festival Director Kevin Sampson stops by WTOP to break down this year's impressive slate of films. WASHINGTON — Is the next great filmmaker living right in our midst in the nation’s capital? 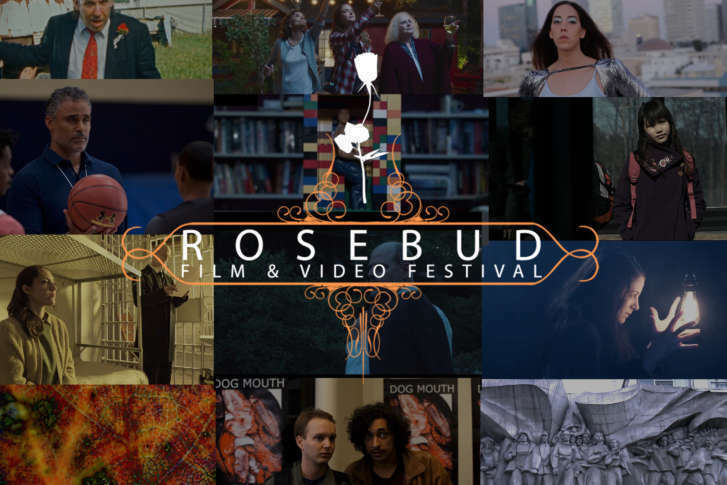 Budding talents will screen their hungry, passionate, painstaking work at the 27th annual Rosebud Film Festival, which runs Friday to Sunday at The Miracle Theatre on Barracks Row. While past years have been exclusive to DMV filmmakers, this year is casting a wider net. This year, judges received 125 submissions, which were narrowed down to the best 34 films. Each film block costs $15, or you can drop $40 for an all-access pass to the entire weekend. Friday’s slate features Zhibo Lai’s “A Time Before,” which plays like “Memento” meets “Birdman,” as it uses a reversed narrative and a single-take to explore newlywed secrets. Opening night closes with Steve Tringali and Maria Bissell’s “Corridor Four,” which won Best Documentary Feature at the 2017 Washington West Film Festival. The film chronicles the brave heroics and therapeutic aftermath of 9/11 Pentagon first responder Isaac Ho’opi’i. Saturday morning brings Melanie Mayron’s “Snapshots,” starring Piper Laurie (“Carrie”). “It’s about a high school new kid on the block who comes to play basketball, so it kind of fit perfectly having [Rick Fox] as the coach of the team,” Sampson said. Speaking of sports, don’t miss the documentary “She’s Got Grit” by Dara Padwo-Audick. The closing night film is “The Last of the Manson Girls” by Lonnie Martin, who not only wrote, directed and produced for his American University thesis, but also built the set circa 1969. In order to realize his vision, Martin actually obtained the rights to the trippy source material. “The film is a fictionalized version of Paul Krassner’s essay, ‘My Acid Trip with Squeaky Fromme,’ in which he spends 24 hours with the remnants of Charles Manson’s family after Manson and the killers were incarcerated,” Martin told WTOP shortly after Manson’s death. After two days of eclectic screenings, Sunday offers a pair of free panels sponsored by the Virginia Film Office and filmed at Arlington Independent Media in Clarendon, Virginia. It all builds to the award ceremony at Clarendon Ballroom on Sunday night. In the end, the festival is an enlightening experience for both filmmakers and audiences.